Incoming CSE PhD student Wilka Carvalho has been selected for the GEM Fellowship under the sponsorship of Adobe. Carvalho plans to work with Profs. Satinder Singh Baveja, Honglak Lee, and Richard Lewis (Psychology) to pursue research at the intersection of reinforcement learning, machine learning, and computational cognitive science. Over the course of his research, Carvalho hopes to combine these different directions to understand the models and algorithms employed by the brain as it tries to generalize previous knowledge to new situations. Carvalho’s passion for his field shows on his personal website, which is loaded with information on his past projects, exploratory essays, and even poetry reflecting on a person’s relationship with their mind. His blog covers the history and theory of machine learning in-depth, in addition to commentaries and tutorials on subjects in his field. The site also contains extensive learning resources curated by Carvalho for people interested in pursuing a PhD or learning the basics of machine learning and cognitive science. This summer, Carvalho is working as a research intern at Microsoft Research in Redmond. He’s working with the medical devices group, a part of Microsoft Health NEXT, to develop a machine learning model that can predict clinical measures from physiological signals measured by a wearable device. He’ll also be attending the Heidelberg Laureate Forum in September, a fully-funded week-long conference that gives student attendees the chance to meet and learn from 50 computer scientists and mathematicians that have won the Abel Prize, the Turing Award, or the Fields Medal. 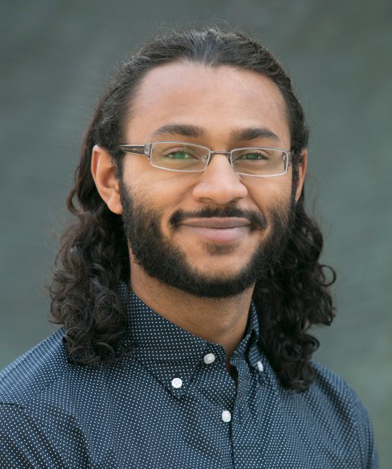 Carvalho has done nine research internships, including positions at Visa and IBM, and participated in five research projects as an undergraduate. He studied for his bachelor’s in physics at Stony Brook University and his master’s in computer science at the University of Southern California.